This verse is the basis by which many Christians believe in the Lord. 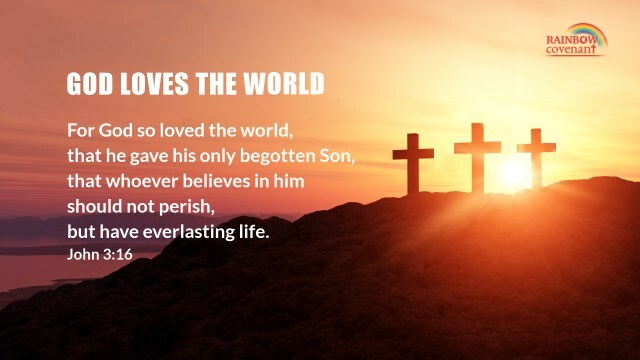 We can see God’s great love for mankind from that. Looking back to the Old Testament Age of Law, the people’s sin became set in stone and they were not able to abide by the laws. If they continued like that, they would be stoned to death. So, God personally became flesh to come into this world and was nailed to the cross to redeem mankind from sin with His blood. Those who believed in the Lord are no longer of sin and have the opportunity to get the way of eternal life. We know that Jesus Christ spread the way of repentance. He preached, “Repent: for the kingdom of heaven is at hand” (Mat 4:17). Jesus requires people to confess his sins and repent, not to commit sins, not to do evil, to deny himself, take up the cross, and follow the Lord, to love the Lord with all his heart, his soul, and his mind, to love others as himself, with humility, forbearance and patience, and to forgive others seventy times seven and so on, which qualifies man to pray before God and fellowship with Him, and enjoy the bountiful grace given by God. Then how to gain the way of eternal life mentioned in this verse? Speaking of the way of eternal life, it is the way of truth that can enable man to live forever and completely deliver them from the influence of Satan, gain the truth as their lives, achieve to be compatible with God. Those who gain the way of eternal life have the truth as their lives and qualify to be raptured into the kingdom of heaven. Such people will no longer resist or betray God. However, we can repent before God, our sinful nature has not been cast off. We can still sin and oppose God, or fight with others, or follow the wicked trends of the world, or run and work for God with personal motives. We haven’t gained the everlasting way of truth. Hence, Jesus Christ predicted, “I have yet many things to say to you, but you cannot bear them now. However, when he, the Spirit of truth, is come, he will guide you into all truth: for he shall not speak of himself; but whatever he shall hear, that shall he speak: and he will show you things to come” (Jhn 16:12-13). And it is said in the Book of Revelation, “He that has an ear, let him hear what the Spirit says to the churches; He that overcomes shall not be hurt of the second death” (Rev 2:11). These verses tell us that the returned Jesus will say something to us in the end times, and guide us into all truth. Those who accept these truth will gain the way of eternal life. I’ve read one passage in a book, “In this final stage of work, results are achieved through the word. Through the word, man comes to understand many mysteries and God’s work throughout generations past; through the word, man is enlightened by the Holy Spirit; through the word, man comes to understand the mysteries never before unraveled by generations past, as well as the work of prophets and apostles of times past, and the principles by which they worked; through the word, man also comes to know the disposition of God Himself, as well as the rebelliousness and resistance of man, and comes to know their own substance. Through these steps of work and all words spoken, man comes to know the work of the Spirit, the work of God’s incarnate flesh, and moreover, His entire disposition. … Of the words spoken in this stage, there is prophecy and truth, but mainly they serve to bestow life upon man.” These words clearly tell us that the words expressed by God in the end times will reveal all mysteries to us. These words inspire me: When the Lord Jesus returns, those who can recognize God’s voice can hear the utterances of God. Just as Jesus said, “My sheep hear my voice, and I know them, and they follow me” (Jhn 10:27). Thanks for God’s enlightenment. I am willing to humbly seek and be attentive to the words of the Holy Spirit. In this way, we can gain the way of eternal life. Without God’s provision of life, we believers in God will live in negativity and weakness, and sink into spiritual darkness and withering, and cannot feel God is with us. For the Son of man is Lord even of the sabbath day. 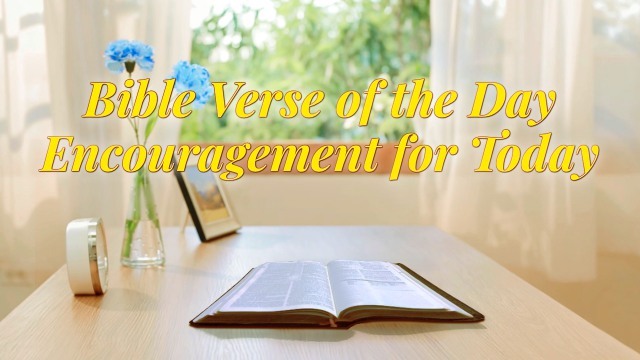 – Matthew 12:8 Thoughts on Today’s Verse… We can learn from the Bible that at the Age of Law, Jehovah God set forth the law through Moses, requiring people to observe the Sabbath. However, when Jesus came to..